Developed by Hornady, the .17 HMR (Hornady Magnum Rimfire) is considered to be one of the most popular rimfire calibers nowadays. As the Hornady round possesses a relatively flat trajectory along with a high muzzle velocity, it’s a good choice for plinkers and varmint hunters. For most of the time, the original sights of standard .17 HMR chambered firearms should let you utilize the advantages of the cartridge to some extent. However, if you want to optimize your shooting experience with the .17 HMR, you must use the best scope for .17 HMR. “There are a lot of rifle scopes on the market, which one is the best .17 HMR scope?” you may think. Well, if you are new to rimfire rifles and don’t really know how to choose a .17 HMR scope, you come to the right place. 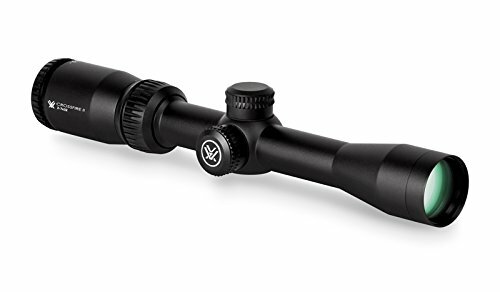 This article contains the specifications and review of some of the best rifle scopes for .17 HMR available on the market. A shopping guide for novice rimfire shooters is provided as well in order to help you make a logical decision. Take a look at the information below and you should be able to secure a .17 HMR scope without much difficulty. Duplex, Mildot And BDC: Which Reticle Style Is The Best? Reliable and affordable, Bushnell Banner Dusk & Dawn is regarded as the best .17 HMR scope in term of all-around performance. Due to the use of multicoated lenses, the scope could gather light effectively and efficiently. 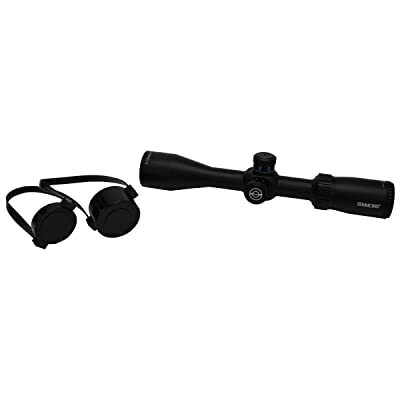 From early morning to late evening, the Bushnell rifle scope would provide shooters with crisp and high-contrast target images. As the eye relief is generous, you should be able to shoot from many positions without getting a scope eye. About the adjustment mechanism, it’s easy to make changes to the elevation/windage setting of Bushnell Banner Dusk & Dawn. The turrets could be manipulated at moment notice and thanks to the ¼ MOA adjustment value, you could set up the Banner scope with great precision. Given the fact that the rifle scope is fogproof, waterproof and shockproof, it would perform with distinction in challenging environments. 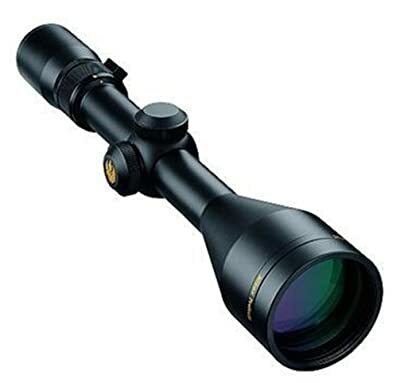 While its magnification power is not impressive, the scope is nonetheless an excellent choice if you need a hunting scope. Calibrated for .22 LR/.17 HMR, Simmons ProTarget is highly sought after by owners of rimfire rifles. Using time-tested manufacturing techniques and high-grade material, the Simmons scope could last for a lifetime on the field. In addition to that, the presence of well-manufactured lenses makes sure that you could spot targets anytime and anywhere. With a maximum magnification level of 12x and a minimum magnification level of 3x, the scope should match the needs and requirements of average shooters. Possessing fingertips adjustable turrets, Simmons ProTarget could be zeroed in a blink of an eye. Moreover, you would be able to adjust the elevation and windage setting of the Simmons rifle scope without much difficulty. A side focus knob is also available which allow you to take care of the scope parallax and improve accuracy. About the mounting, the scope lightweight tube could be attached to most rimfire rifles in circulation without affecting their balance. All you have to do here is to find an appropriate set of mounting rings and that should be it. 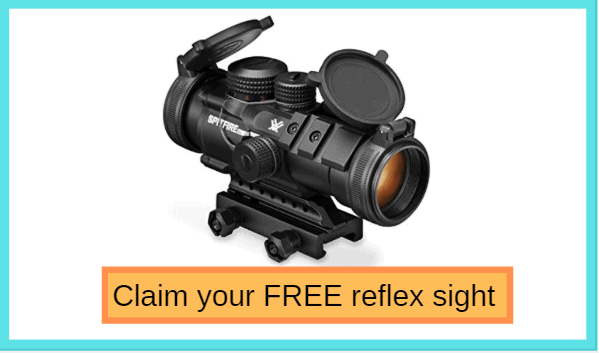 Want a versatile and flexible scope? Then you should take a look at Nikon ProStaff. Featuring a magnification power of 4 – 12x, the Nikon rifle scope is able to please both hunters and competitive shooters alike. In order to make sure the shooter vision is bright and clear, the scope uses fully multicoated lenses which offer a light transmission rate of 98%. Because of that, you could acquire your target in low light condition without much difficulty. The scope quick focus eyepiece also helps you bring targets into view at moment notice. As it’s O-ring-sealed and nitrogen-purged, Nikon ProStaff is waterproof and fogproof. As a result, the Nikon scope could handle pretty much anything you throw at it. For the reticle, the scope utilizes a BDC pattern which makes it easy to aim and shoot at extended ranges. By using the see-through circles of the scope reticle, you could consistently hit your targets in long range shooting. Since the scope employs spring-loaded zero rest turrets, it’s simple for you to make adjustments on the field. For people in need of a short-to-mid range scope, Burris Fullfield II is one of the most popular options available on the market. Since the Burris rifle scope is compact and light, you could mount it on rimfire rifles without experience balance issues. About the glass, the scope incorporates multicoated, anti-glare lenses which permit it to operate in less than ideal situations. Made from high-quality material, the rifle scope is capable of handling a lot of abuse and still remains operational. To adjust the setting of Burris Fullfield II, you could use a coin or a bullet to manipulate the turrets. That being said, you should be to make changes using your hands if you desire. Overall, the adjustment mechanism of the Burris scope requires some time to get used to but it’s quite dependable. Furthermore, the turret ability to hold zero when exposed to recoils and vibration is appreciated by experienced shooters and experts. Each click equal to a value ½ MOA which is sufficient in most of the case. Designed to assist shooters with holdover estimating, Vortex Optics Crossfire II is the best .17 HMR scope when you regularly have to shoot at varying ranges. Featuring a long eye relief and a wide field vision, the Vortex Optics scope let you acquire targets in the shortest amount of time possible. As the scope utilize top-grade aluminum for its tube, it could handle recoil, vibration and impact without suffering damages. For the reticle, Vortex Optics Crossfire II selects the famous Dead-Hold BDC pattern which let you make precise compensation. Through the hash marks of the scope reticle, you could figure out the approximate holdover and windage corrections you need to take. Once you have finished calculating, the only thing left to do is to adjust the turrets of the Vortex Optics scope as the situation require. The scope adjustment turrets are capped and finger adjusted so should be able to make necessary changes at your leisure. At all times, remember that you have to take care of your scope and keep it out of harm way. That being said, you should make sure that your scope could handle a couple of hits without bending/breaking apart. 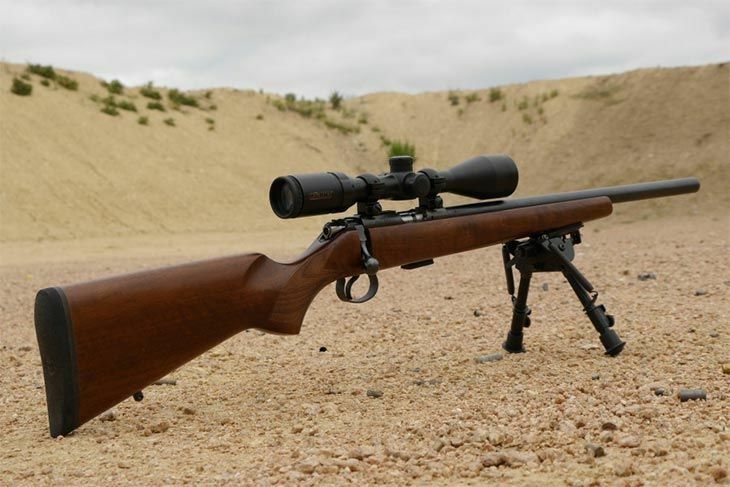 For hunters in need of a rimfire scope, strength is among the most important criterion. While hunting, the scope would be exposed to vibrations as well as sudden impacts, a fragile product could not last long in such a situation. In the usual case, high-grade aluminum should be an ideal choice for material if you want a tough scope. 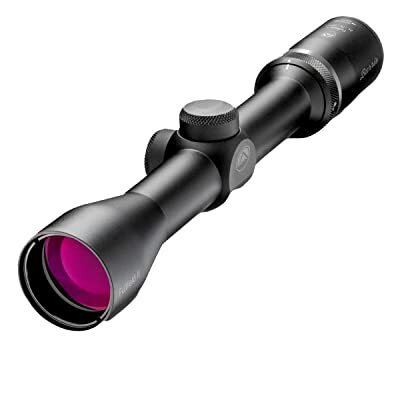 In the outdoors, numerous elements are able to degrade the performance of your scope and that is why you have to think about environmental resistance. For most of the time, you should go for rifle scopes that have nitrogen/argon purging gases and O-rings. The presence of these features indicates that the rifle scopes are both fogproof and waterproof. On top of that, a rifle scope that possesses hard anodized coatings would have improved corrosion, wear and tear resistance. Of course, the .17 HMR is not as strong as centerfire cartridges but that doesn’t mean you have to keep the scope magnification power low. In fact, as the Hornady round could reach out to a long distance, the maximum magnification level of your scope should be 9x at least. For competitive shooting, there are a wide variety of high-power scopes money can buy. All you have to do is to select a model that matches your shooting distance. Variable power scopes offer shooters a lot of flexibility and versatility but fixed power scopes have their charms as well. It goes without saying that the quality of the lenses greatly influences the scope performance. If the lenses are bad, the scope is good for nothing so you have to be careful and thorough here. Generally speaking, it’s a good idea for you to go after multicoated lenses because their light transmission rate and anti-glare capability are excellent. With multicoated lenses, you could acquire bright and sharp target images in low light conditions. In many cases, it also worth the time and effort to ensure the lenses are able to withstand abrasion elements. No matter what kind of shooting purpose the scope is used for, having well-designed adjustment turrets is a must. If you are unable to make accurate elevation and windage changes, you would not be able to shoot with precision. To competitive shooters, high profile exposed turrets should perform well as the design let people make adjustments with relative ease. On the other hand, hunters need to stick with low profile capped turrets to prevent the settings from changing accidentally while passing through dense bushes. Pay special attention to adjustment value per click as well if you want to consistently land your shots on targets. Many people like to use duplex reticle because it’s simple to use and work well from dusk to dawn. Considered to be a standard choice, duplex reticle would not disappoint you when it comes to hunting in the woods. For people in need of a way to determine the target range, mildot reticle is an excellent option thanks to its evenly spaced milradian dots. By using the dots, you could estimate the approximate distance between you and your targets. In the case you want something to help you locate the point of aim in long-range shooting, BDC reticle is surely your best bet. It could take quite a bit of time for you to get used to BDC style reticle and its layout. Technically, you could get your rifle scope from any brand on the market as long as you certain that it suits your needs and requirement. Nonetheless, you should prioritize products that come from famous brands in the industry if possible. Well- known manufacturers don’t become popular all of the sudden, it’s take a lot of efforts in order to attract and satisfy customers. That is why if a brand could remain in business for a long time, it must have done something right. Sure, products and services from reputable brands are not perfect but their performance should be better than lesser known brands. Here are a couple of scope brands you have to keep an eye out for while checking out available options: Nikon, Leupold, Vortex Optics, Bushnell, BSA, Barska, Burris, Hawke, Simmons,… If you come across scopes from these brands, you should take a look at them.